A few weeks before Super Saturday, we send our ambassadors into local schools to give children a taste of what the special day is all about. 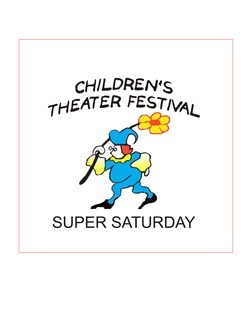 In this way, we can reach more of our community's children than may be able to attend Super Saturday. For Super Saturday in the Schools 2019 we are excited to announce that Soul Street will be visiting local elementary and middle schools to perform their energetic and unique style of dance. Crowd-pleasing veterans of Super Saturday, Soul Street will be performing March 4 to 6 in area elementary schools and March 14 to 15 at area middle schools.